Recently there has been much hype about the Hunger Game franchise. The article, What Really Makes Katniss Stand Out? 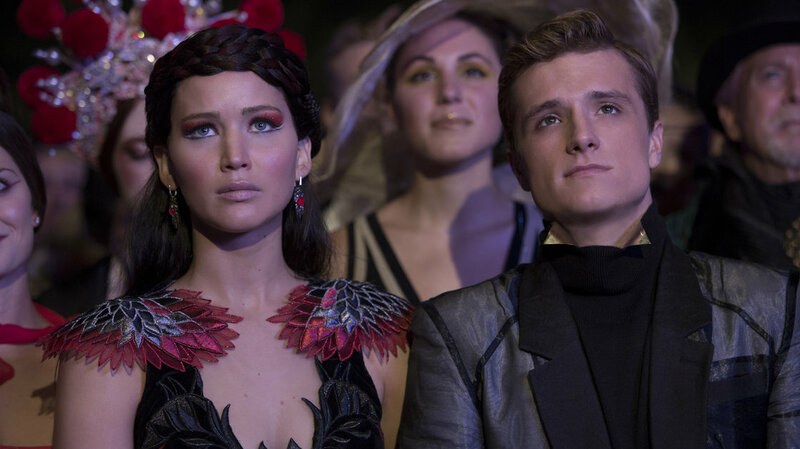 Peeta, her Movie Girlfriend highlights the gender role reversal. Going by traditional Hollywood rules, make no mistake: Peeta is a Movie Girlfriend. Peeta is Pepper Potts and Gwen Stacy, helping and helping and helping until the very end, when it’s time for the stakes, and the stakes are: NEEDS RESCUE. Peeta is Annie in Speed, who drives that bus like a champ right up until she winds up handcuffed to a pole covered with explosives. Peeta is Holly in Die Hard, who holds down the fort against the terrorists until John McClane can come and find her (and she can give back her maiden name). Here’s to the Hunger Games highlighting different gender roles.